Adorable Cockapoo Puppies. We have three females and two males. All are buff (light brown) in color. Mom is a fullblooded red cocker spaniel. 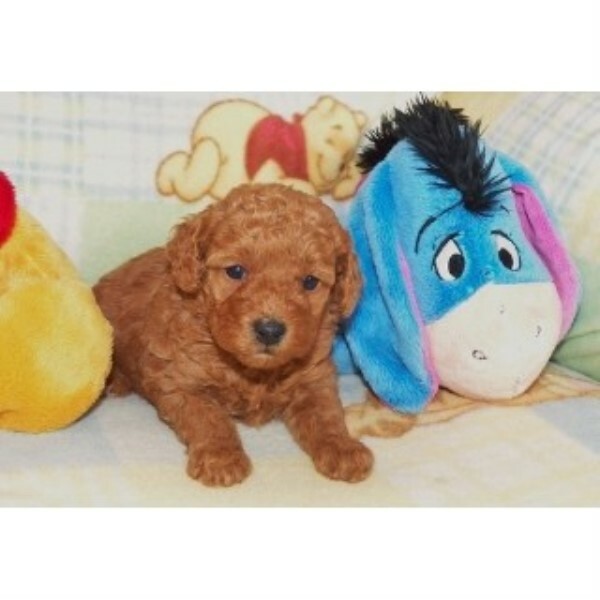 Dad is a full blooded cream miniature poodle. Both are registered with the KC and the CKC. Both parents have excellent temperments. Puppies are healthy, playful and well socialized. Tails have been docked and dewormers given every two weeks to ensure a healthy puppie.